Getting in a water hazard is like being in a plane crash, the result is final. Landing in a bunker is similar to an automobile accident, there is a chance of recovery. 1870 – Born in Normanton, Yorkshire, England. 1888 – Enrolls in medical school. 1897 – Receives bachelor medicine and surgery degree from Cambridge. 1899-1902 – Served as a civil surgeon for the British Army during the Boer War in South Africa. 1905 – Marries Edith Mary Wedderburn. 1907 – Golf architect Harry S. Colt stays with MacKenzie while visiting Alwoodley in Golf Club in Leeds, England. 1912 – Introduced to Robert Hunter by Colt. 1914 – Wins first place in Country Life contest to design a hole for the Lido Golf Club in New York; World War I begins, and MacKenzie is again assigned as a civil surgeon. 1915 – Commissioned as lieutenant in the Royal Engineers; Elected to membership in the Royal and Ancient Golf Club. 1920 – Forms partnership with Colt and C.H. Alison; Golf Architecture, his principles of course design, published. 1922 – Survey of St. Andrews Golf Links is approved; plan accepted in 1924. 1923 – Partnership with Colt and Alison ends. 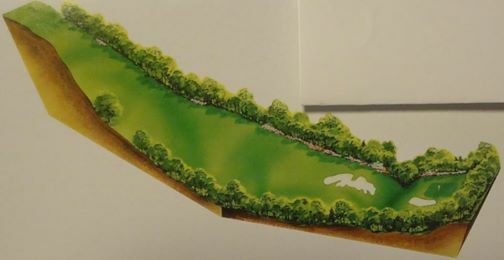 Receives Cypress Point commission in February. Returns to England in March. Attends Walker Cup Matches at St. Andrews and final round of British Open at Royal Lytham and St. Annes in June. Redesigned greens at holes 8 and 13 at Pebble Beach in September. Returns to England and sets sail for Australia via the Suez Canal in late September. Visits several golf clubs in Australia and submits plans for designs/redesigns in October, November and December. 1927 – Visits New Zealand; departs for California in February. Works on Cypress Point. Returns to England in late March. In July, attends British Open at St. Andrews and meets Bobby Jones. 1928 – MacKenzie and Hunter arrive at Cypress Point in January to supervise construction. Cypress Point opens in August. Tours several courses in Canada in August and September. Visits site of Pasatiempo Country Club in October. 1929 – Attends U.S. Amateur at Pebble Beach and attends exhibition match featuring Jones on opening day at Pasatiempo. 1930 – Divorce from Edith finalized in January; marries Hilda Sykes Haddock in May. 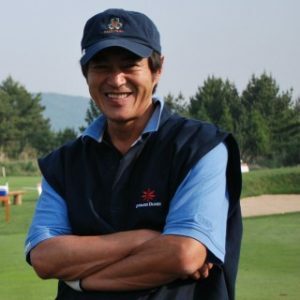 Attends Walker Cup Matches at Royal St. George’s in May. Also watches Jones vs. Cyril Tolley match in British Amateur at St. Andrews. Ground broken for home at Pasatiempo in November. July 10, 1931 – Meets with committee of Augusta National Golf Club at Vanderbilt Hotel in New York. July 14-16, 1931 – On site at Augusta National with Jones and Wendell Miller, chief engineer. September-October 1931: Long visit to Augusta. 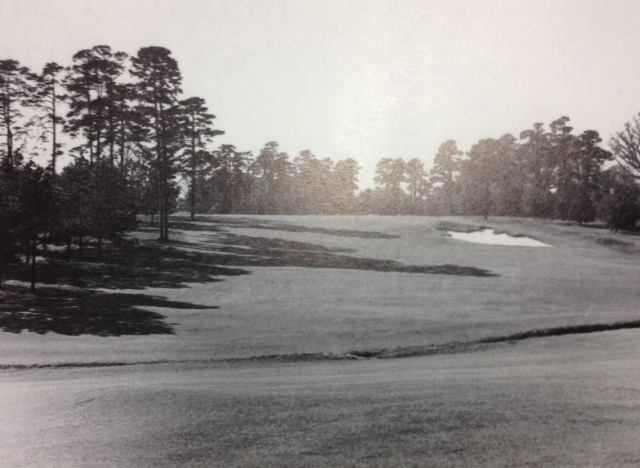 Oct. 6, 1931: MacKenzie and Jones rout the plan for Augusta National. March-April 1932 – In Augusta to oversee shaping of greens. Jan. 6, 1934 – MacKenzie dies at his home at Pasatiempo. Ashes were believed to be scattered on the golf course. Aug. 14, 2005 – Inducted into World Golf Hall of Fame. 1916 – Jones wins the Georgia State Amateur at the age of 14. He also competes in the U.S. Amateur at Merion Cricket Club, becoming the event’s youngest competitor. 1921 – During the third round of the British Open, Jones disqualifies himself. 1922 – Jones completes a degree in mechanical engineering at Georgia Institute of Technology. 1923 – Jones wins the U.S. Open, his first major championship victory. 1924 – He marries Mary Rice Malone and finishes a degree in English literature at Harvard. 1926 – Jones becomes the first player to win the U.S. and British Opens in the same year. 1927 – Down the Fairway, written by Jones and longtime friend O.B. Keeler, is published. 1928 – Jones is admitted to the Georgia bar after one year of law school. 1930 – By winning the U.S. Open, U.S. Amateur, British Open and British Amateur, Jones captures the Grand Slam. He retires from competitive golf at the age of 28. 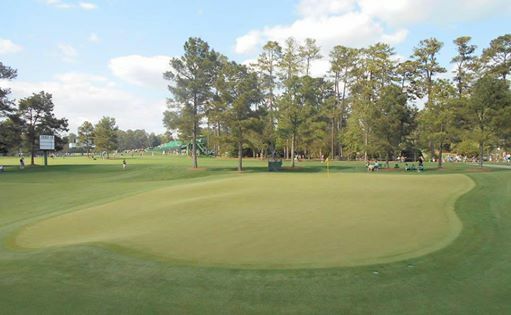 1931 – Fruitland Nurseries is purchased, and construction of Augusta National Golf Club begins. 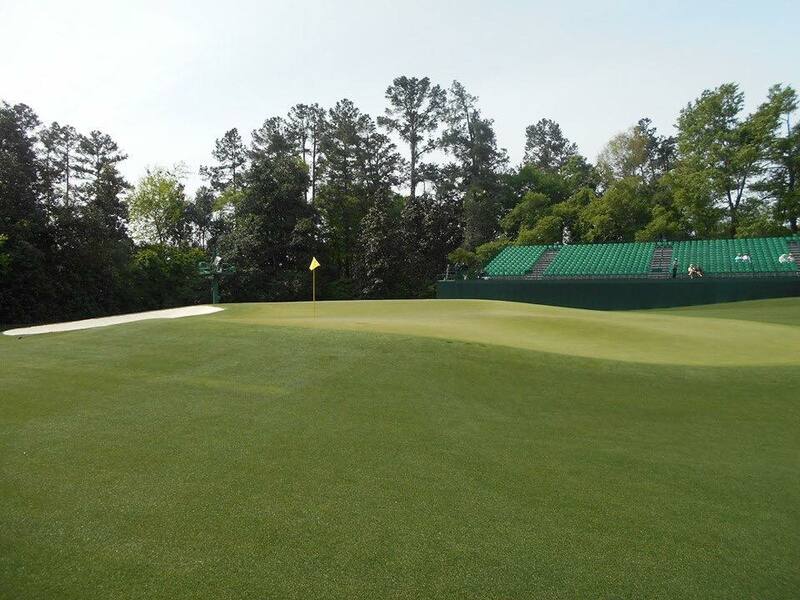 1934 – The first Augusta National Invitation Tournament is held at the course designed by Jones and Alister Mackenzie. Jones plays in a tournament for the first time since retirement. 1942 – Jones is commissioned as a captain in the Army Air Forces. He is honorably discharged in 1944. 1948 – Jones makes his final Masters appearance as a competitor and plays his final round of golf in Atlanta. 1955 – The U.S. Golf Association establishes the Bob Jones Award, its highest honor. 1958 – The citizens of St. Andrews confer the Freedom of the City and the Royal Burgh of St. Andrews on Jones. 1968 – Attends final Masters Tournament. 1971 – Jones dies Dec. 17 and is buried in Atlanta’s Oakland Cemetery. 1972 – The 10th hole at St. Andrews is named in his honor. 1974 – Inducted into World Golf Hall of Fame.